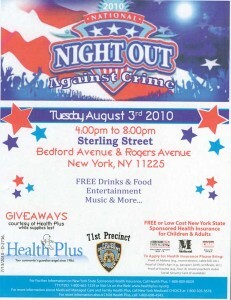 On Tuesday, August 3rd neighborhoods across the country will rally to celebrate The National Night Out Against Crime. 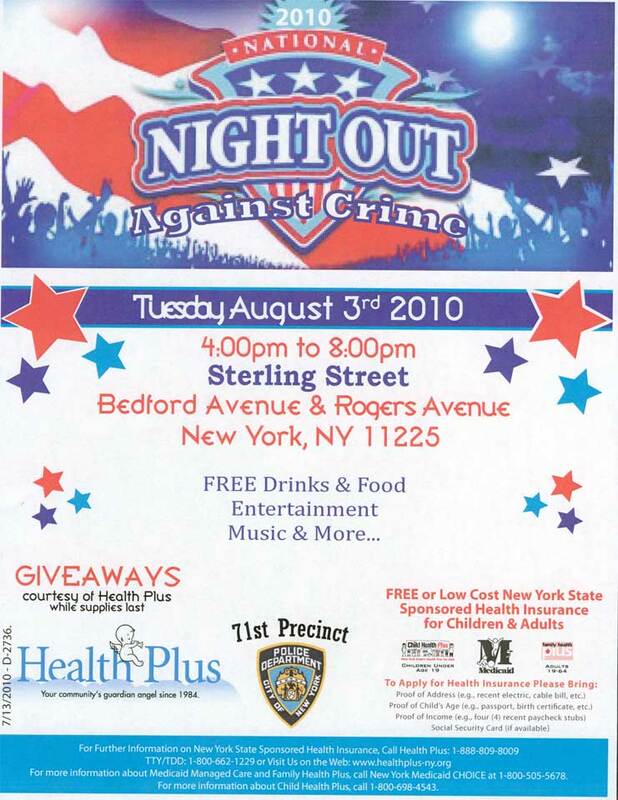 This year the 71st Precinct will hold the PLG bash on Sterling Street between Bedford and Rogers, from 4pm until 8pm. There will be free food, refreshments, and rides for all. In the past these events have been a lot of fun for Prospect Lefferts Gardens residents and children. For more information contact the 71st Precinct Community Affairs Office at 718-735-0527.